Our garden-loving members also happen to love wine (is that why we live in Bordeaux?). 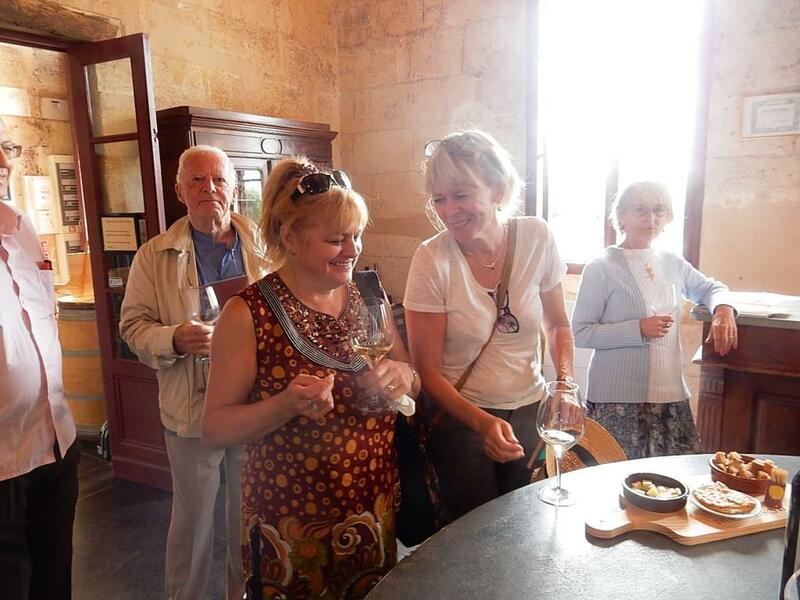 May’s ICB « Flower Power » outing made the best of both worlds with a morning visit to the Chai au Quai in Castillon la Bataille for a bit of fascinating history, a tour of the beautifully renovated building and… a wine tasting! 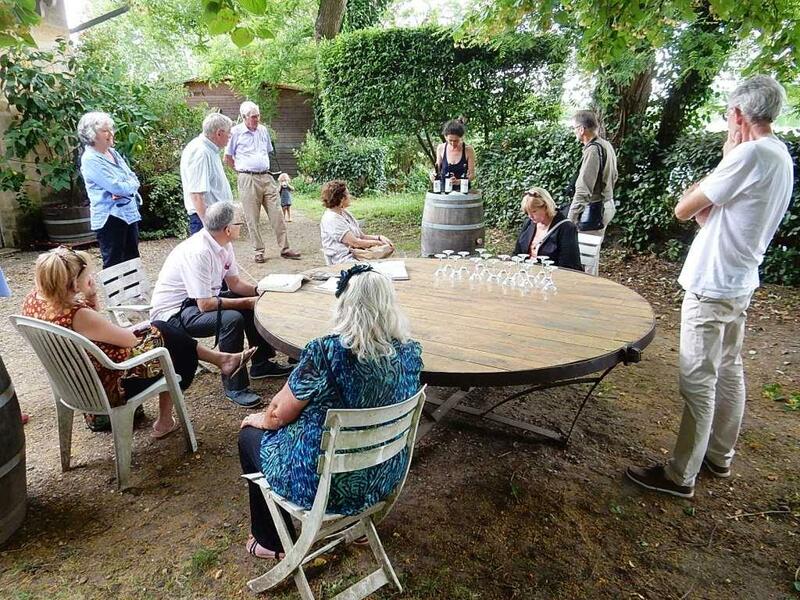 After lunch on the banks of the Dordogne River, it was garden time at Château Franc la Fleur in St. Magne de Castillon: lovely well-established gardens and organic grape vines. Can you guess? Well, yes: we were treated to another wine tasting! Great friends and good times come first with the ICB! Tasting time at the Chai au Quai. 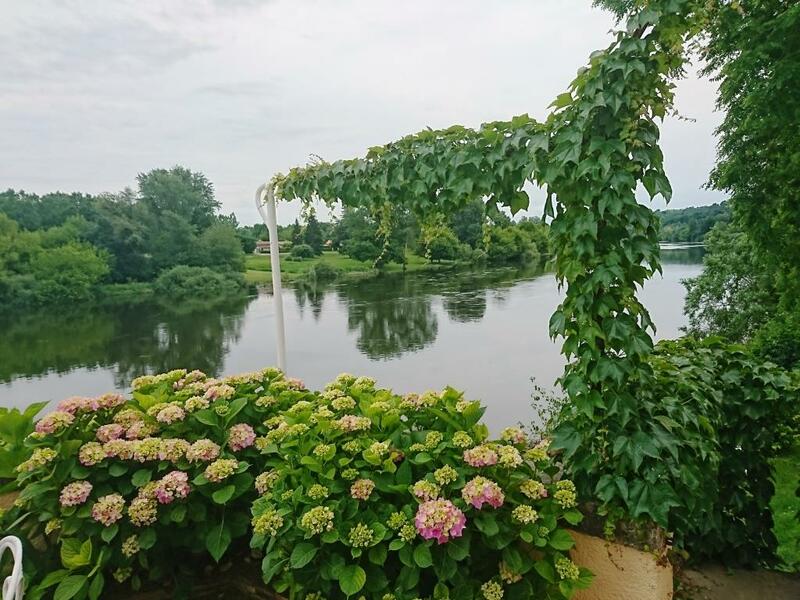 Le Chai au Quai on the riverside in Castillon la Bataille. 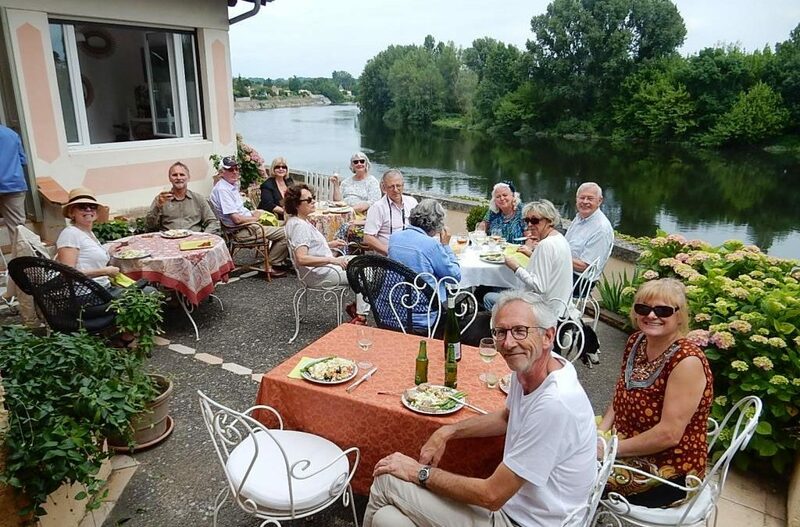 Next stop: lunch on a terrace overlooking the Dordogne River. 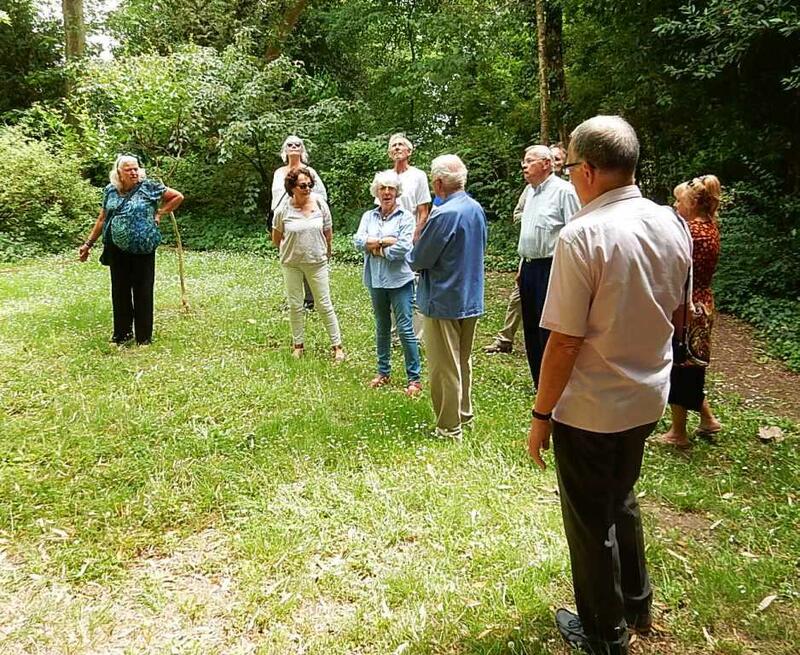 Back to business: visiting the gardens at Château Franc la Fleur in St. Magne de Castillon. And then there was … another wine tasting, under the trees!